ime to lighten the table with these gorgeous Mottahedeh Blue Torquay plates! Clinging to the coast of Devon in southern England was the elegant resort town of Torquay, renowned for its mild climate and its abundant marine life.The shells and entwined sea grasses inspired the Swansea potters who flourished between 1764 and 1846.This pattern was created circa 1820. 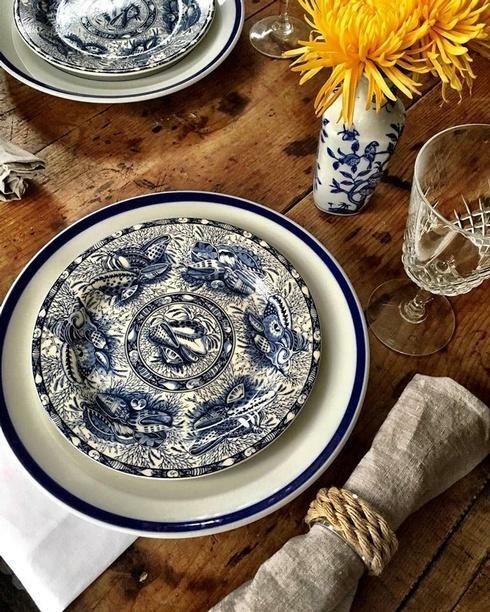 Made originally in the traditional English transferware style, Torquay enjoys just as much popularity today.